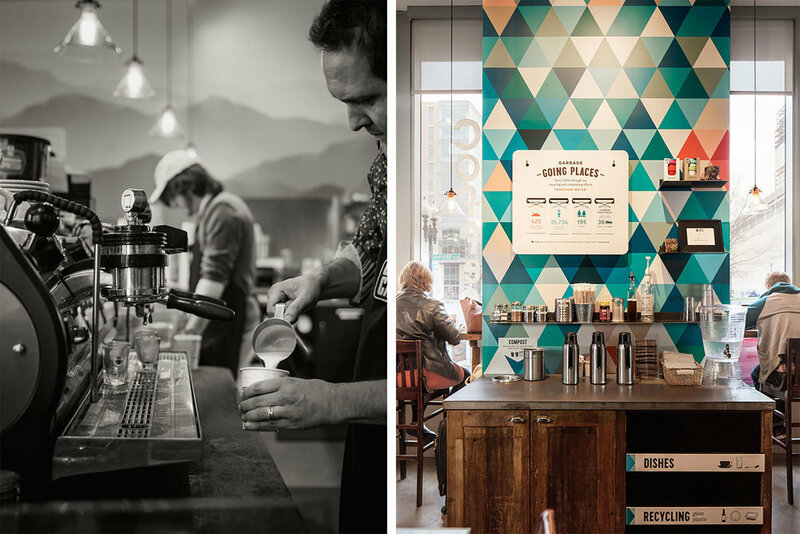 How can a café embody the values of one of the most prominent fair-trade brands? The well-known Equal Exchange brand builds long-term fair trade partnerships that are economically just and environmentally sound, to foster mutually beneficial relationships between farmers and consumers. 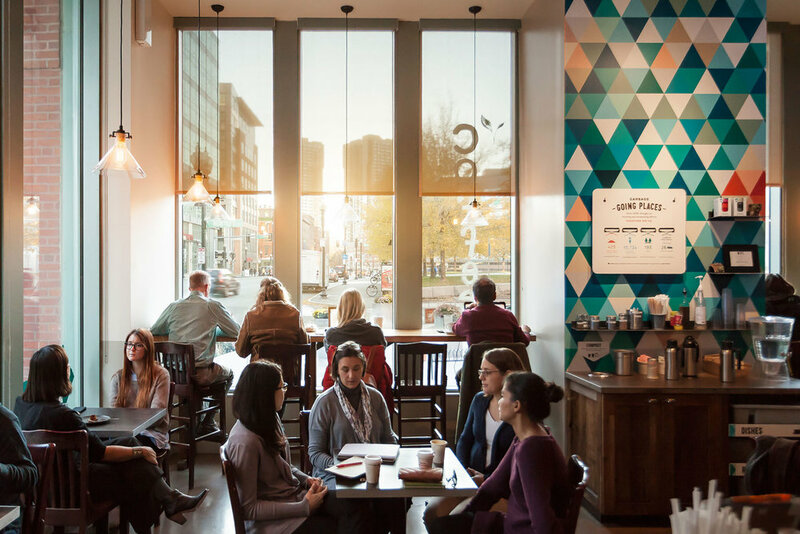 Our facelift to their thriving upbeat café near North Station in Boston was a collaboration between the café staff, branding team and CUBE to get the most bang for their buck. In addition to designing the fit-out, we administered the entire construction effort and managed all of the subcontractors and fabricators. Thanks to the Equal Exchange Café team for giving us the opportunity to freshen up one of only two of their product showcasing cafés worldwide!